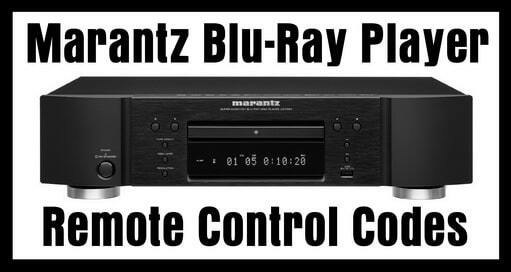 Seeking remote codes for your Marantz Blu-ray Player? Here is the list with the KNOWN working device codes for Marantz Blu-Ray DVD players. These codes should work with ANY universal remote control as these remote codes are universal. These codes will work with ALL Marantz Blu-Ray players including the Smart Network WI-FI ready models. Need help with any model Marantz Blu-Ray Player? Need other working remote codes? Need help programming the remote? Leave a comment below and we can assist you. Sony RM-VLZ620 Codes in their manual and the two listed on this site do not work for a Marantz BD5004. 12432 which actually makes the player display a message for some buttons pushed but does not do anything else.